Manhattan lies in Brandenburg. Amongst the lush green, in an idyllic surrounding and merely an hour's drive from Berlin. 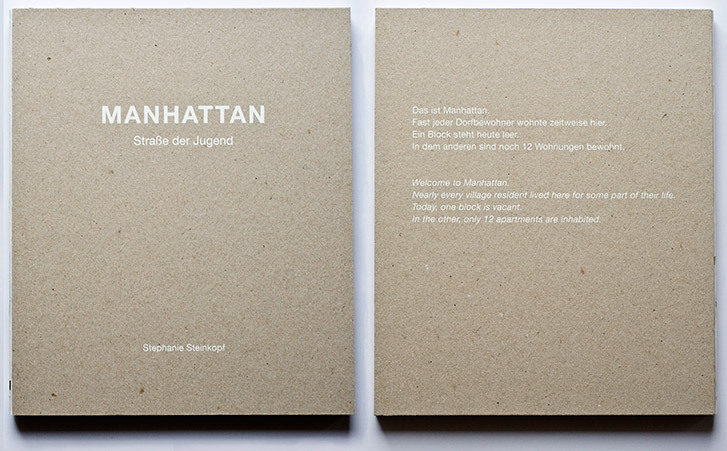 Manhattan is what the village residents have been calling the two blocks in Oderbruch for years. Manhattan is simultaneously the epitome of economic prosperity and a place of defeat. Nearly every village resident lived here for some part of their life. Today one block is vacant. In the other, only 12 apartments are inhabited. Since the German reunification in 1989, almost everything has structurally collapsed. No one moves here anymore. Everyone who is able to, leaves. The photographs depicts a general trend of social division that is not innate within Eastern Germany, but has become clearly visible in many rural areas of the former East. Stephanie Steinkopf visited Manhattan's residents regularly over a period of four years.